This property is currently occupied by the Kokomo Humane Society. There are three main structures constructed over several years. Property features a lot of square footage, along with large asphalt parking areas. Sale consists of two parcels. Property is secured by fencing. The rear of property is accessed via an alley. This is a prime property suited for various business entities. There is a recorded deed restriction preventing this property from being used for the purpose of any type of animal activities. 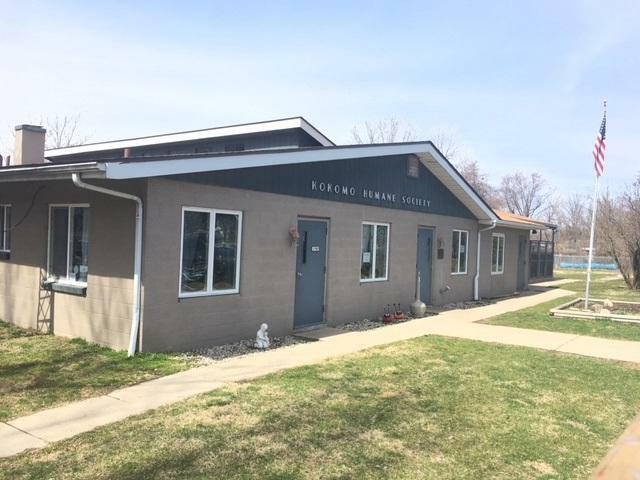 Property will be vacated in the near future, upon the completion of the new Kokomo Humane Society. Listing courtesy of Robert Thiemrodt of Robertmark Realty.